This versatile Silverton Dripper from Yama Glass can be used to brew tea, hot coffee, or cold brew coffee. 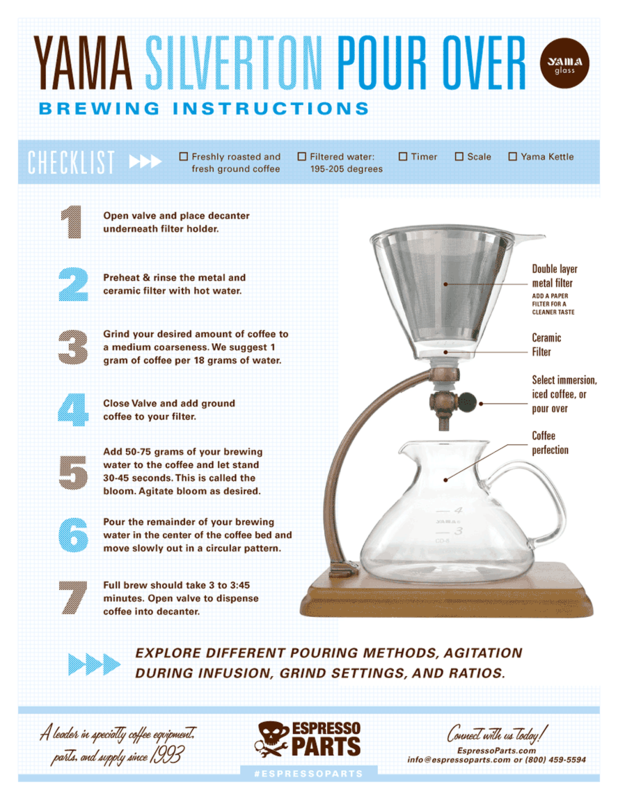 It comes with a stainless steel cone filter, and also fits ceramic filters and Kalita 185 paper filters. The bottom beaker holds up to 473ml of coffee or tea, or about 16 ounces. The glass components are made of hand blown, heat resistant borosilicate glass, making it dishwasher and microwave safe. Alternatively sold with a wooden base and copper accents.